There are many reasons why waterproof flooring is a good idea. Life is messy, but that’s what makes it fun. Your home is a place where you can play, relax, and live. It’s not where you have to worry about scratches, dents and clutter. You should be able to enjoy a glass of wine in the living room without worrying about your floor if it spills. The houses are intended to be inhabited, but liquids can be a real problem. Whether you have children or pets or just be a bit clumsy from time to time, it is almost impossible to keep the water out of your floors. From spills to accidents and leaks, the damage can go from something that can be cleaned with a paper towel to a more stressful situation. But just because you’re worried about water does not mean you have to sacrifice the beauty and drama that the hardwood floor brings to your home. 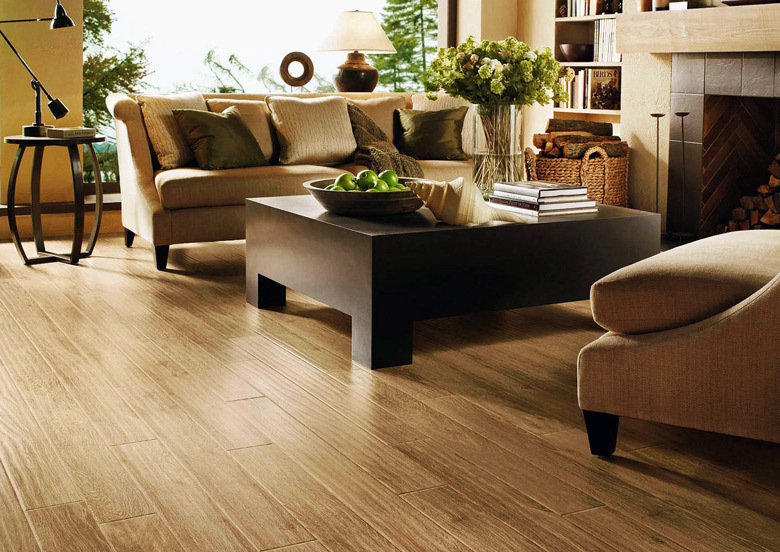 With the Floor Gallery’s laminate floor, you can have amazing floors that resist what life offers. Here are 5 reasons why your home needs to have waterproof flooring. There is no way to avoid it, basements are prone to excess moisture. They can be a very humid environment, making them vulnerable to water damage. This is the reason why, for years, the owners have opted for carpets in their basements. But that’s only because there was never a choice of waterproof floors. With the Floor Gallery’s laminate flooring, the process of making your basement floor waterproof starts with manufacturing and continues with the installation method. Let’s face it, the kitchens get dirty. But you should not have to sacrifice a beautiful floor just because you’re worried that it is going to be ruined. With the Floor Gallery’s laminate floor, your kitchen floor is safe from any kind of water spills. It is likely that the floor of your laundry room is not something that you take pride in. You can have your washer and dryer hidden in the basement or hidden behind closed doors. But what would happen if your laundry room could be as beautiful as the rest of your home? No matter where in your home you store your washer and dryer, the Floor Gallery’s laminate floor can add a touch of beauty to any space. Have you ever considered adding the beauty of wood floors to your bathroom? Maybe not, maybe because it has never been an option. The bathrooms are synonymous with humidity. From moisture-resistant paint to caulking to keep the water where it’s supposed to be, the bathrooms are designed to get wet. With the Floor Gallery’s laminate floor, the floor of your bathroom can look like wood, while being completely waterproof. The full waterproof effect is due to the flexible and waterproof seal on the edges that prevents water from falling under the floor. Traditional laminate floors do not handle humidity well. When the laminate gets wet, the high-density fibers that make up the core absorb the water and cause the boards to swell. Unfortunately, this swelling does not go away when the floor dries. When a laminate floor gets wet and swollen, your only option is to replace it. Depending on the severity of the damage, it may be a simple replacement of the damaged section. But in other situations, it may be necessary to replace the entire floor. The Floor Gallery’s laminate floor is changing the landscape of the laminate, giving you more flooring options than ever for each room in your home. Each luxurious and ultra-realistic 12 mm table has an authentic look with a surface color design that moves around the edges. Now you can have everything. No more choosing between form and function. Floor Gallery’s laminate combines the beauty of wood with waterproof flooring solutions, so you can enjoy the warmth and luxury of wood in every room of your home. Contact us today to get started.